Choosing the right skateboard for the rapidly approaching warm season is not always an easy process. Fortunately for you, we’re about to present a top 5 regarding the best skateboards of 2018 under $100, but before diving into each item, there are a few things that you should consider. For example, whether you are an experienced skateboarder or just a beginner, it is very important to pick a skateboard that match your experience level and skateboarding style. Another thing to keep an eye out for is typology – depending on the shape and technical aspects, there are the following variants: classic skateboard, casterboard, and longboard. Have a look at the following list of complete skateboards and make sure to tell us which one is your favorite! Providing plenty of space for foot placement, this 31.5″ x 8.125″ deck boasts a 7-ply maple deck construction that makes it durable, reliable, and easy to handle. The EMillion Thunder complete skateboard is equipped with 53mm Emillion wheels and ABEC 7 bearings, which are known to be fast and smooth. 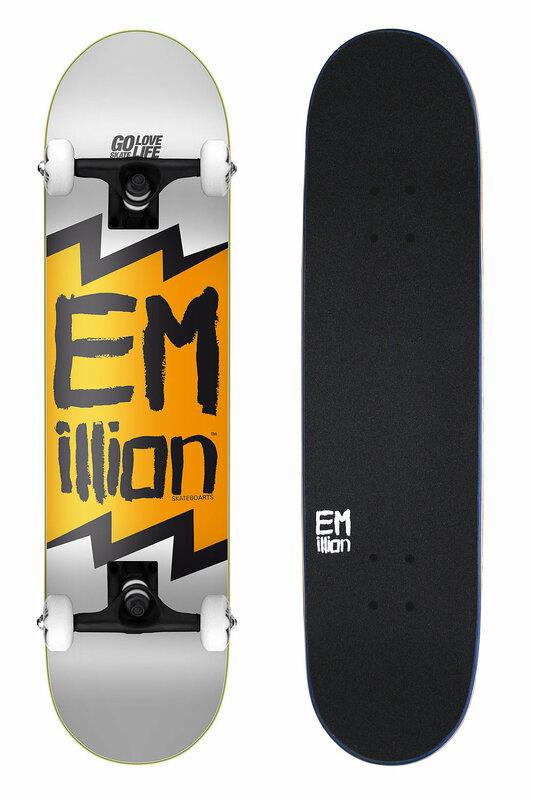 Featuring an attractive design, the EMillion Thunder Skateboard comes professionally assembled. Equipped with 52mm wheels and ABEC 5 bearings, this skateboard has a 7-ply 100% Hardrock maple deck with Epoxy Resin Glue that was designed to offer maximum grip and riding ability. Measuring 31.1″ in length and has a width of 7.75″, this skateboard helps you perfect your tricks. The Almost Neon 8.0 FP Complete Skateboard is perfect for any lever skater. It’s designed with a 7-ply 100% Hardrock maple with Stiff Glue Extra for strength, Tensor trucks for an optimal ride, and carbon steel bearings for extra speed and control. 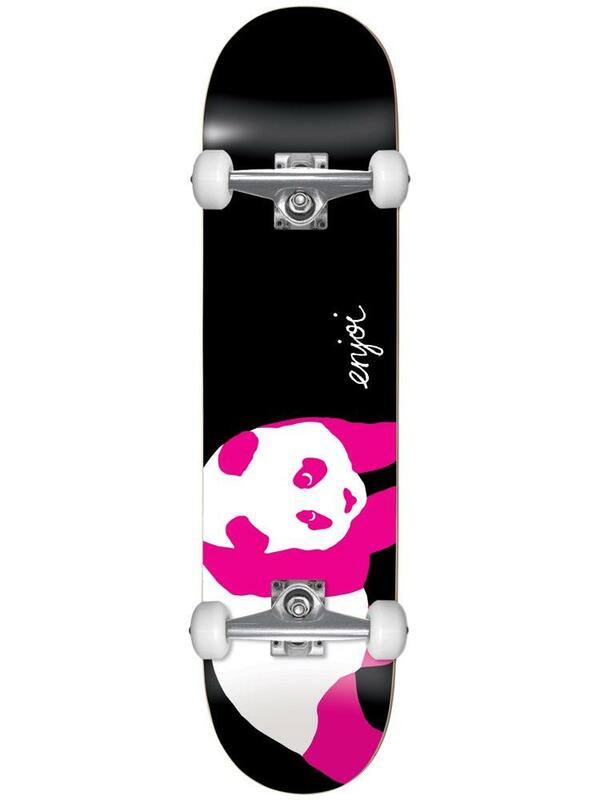 Moreover, this 31″x 8.0″ skateboard features a softer bushing for easier turning. 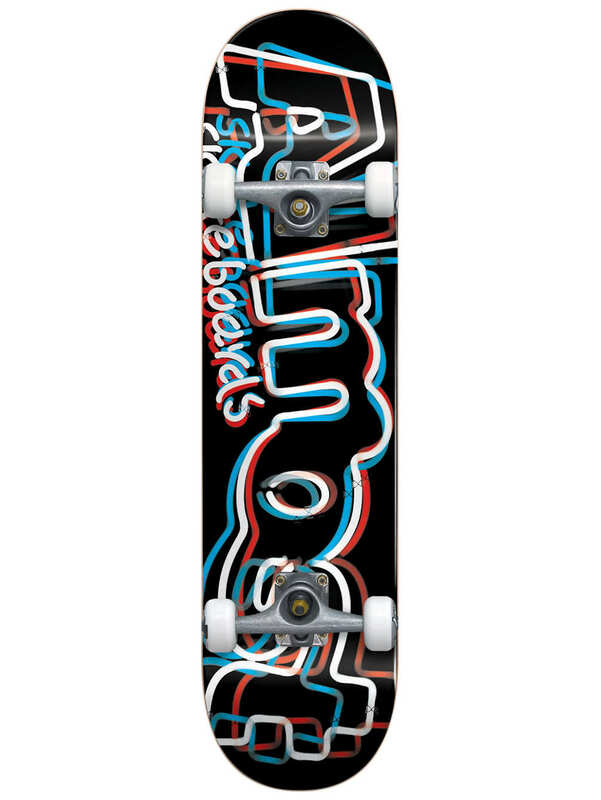 This complete skateboard by Blind features a cool graphic with red, yellow, and blue accents, as well as a 7- ply Hardrock maple deck with Stiff Glue Extra, which is the best water-base glue in the industry. Its boasts an improved wheel formula for park and street, carbon steel speed bearings, and a 7.75” deck that is a comfortable size for all ages and weights. 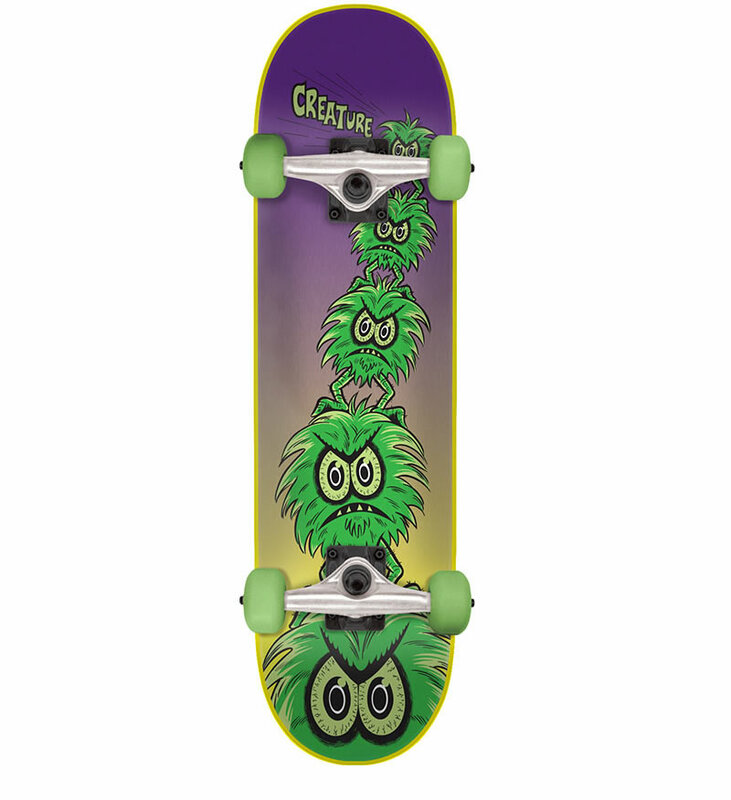 Another great skateboard under $100 is the Creeps Skateboard Complete by Creature. 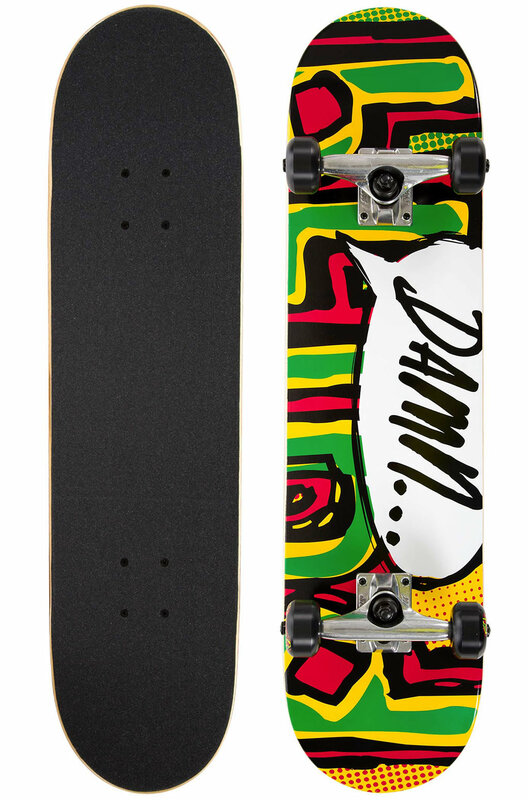 Built from the highest quality materials, this 29.2″ x 7″ skateboard comes fully assembled, and it features a Creature 7-ply maple deck, a 12.5″ wheelbase, Bullet trucks, 53mm OJ wheels, and shielded bearings.